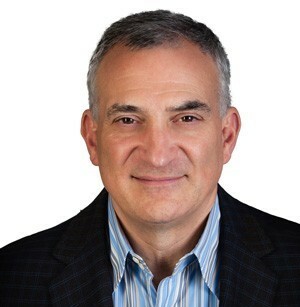 Harry D’Andrea has served as the Chief Financial Officer for both established and startup companies for over twenty years. Prior to founding Valhalla Partners, Harry was the Chief Financial Officer for Advanced Switching Communications, Inc., a telecommunications equipment supplier that he helped take public. Prior to ASC, Harry was the Chief Financial Officer at Call Technologies, Inc., a start-up telecommunications software company. At CTI, Harry played a central role in preparing the company for growth and for its ultimate sale to 3Com Corporation. Harry also served as the Chief Financial Officer for Yurie Systems. Prior to Yurie Systems, Harry served as Chief Financial Officer for American Communications Services, Inc., a facilities based publicly traded competitive local exchange carrier. Earlier in his career, Harry held positions with Marriott Corporation and Xerox Corporation. Harry serves on the Board of Directors of the Washington chapter of the Private Equity CFO Association, the Board of Directors of the Alumni Society of the College of Liberal Arts of the Pennsylvania State University and on the Advisory Board of MTECH Ventures. He served for ten years as a member of the Nasdaq Stock Market Listings Qualification Panel, was a judge for the Greater Washington Technology CFO Awards, and was a charter member of the CFO Steering Committee of the Maryland Hi-Tech Council.